SPEC INT Titles from KIDS FIRST! DAWNSIGNPRESS This title has online video! Description - Overlooking the scenic California coast, the quaint home of the Three Bears sits alone. But today, something will change. An unexpected visitor awaits them when they return home after a walk on the beach. Then they will learn about the power of sign. KIDS FIRST!® Adult Jurors say - This is a modern day version of Goldilocks and The Three Bears. It is engaging for the most part. We had a bit of a difficult time with the Baby Bear character who is played by an adult. His voice changes which is a bit distracting and takes away from charm of the overall film. The modern twist with Goldilocks having magic is a positive aspect especially when she signs with all her heart. That is the best part of the film. We enjoyed the modern day setting of the film. It flows well and the storyline follows the traditional one, for the most part. The vocabulary and concepts are suitable for children, primarily younger ones. It shows compassion, particularly when Goldilocks apologies to the three bears and does not run off. They appear to become friends and treat one another with respect. Visually, it's quite appealing. The house being on the beach is a nice touch. Our only issue is Baby Bear played by an older actor. KIDS FIRST!® Kid Jurors say - This series brings the fairy tails we love to life with a little bit of sign language education and even good life lessons. 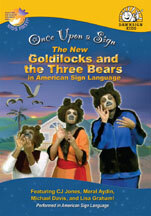 Once Upon A Sign is fun and educational series that offers a great starter show for young kids. 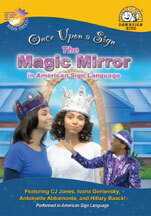 The show takes the fairy tales we all know and love, modernizes them and adds sign language! The filmmakers have taken the classic Grimm Brothers' fairy tales and added lots of twists to make it modern and interesting. I think the idea of telling a fairy tails in sign language a very unique idea, not just for the hearing impaired but it provides an opportunity for those who hear to learn sign language. I also like that they are animated. The animation reminds me of one of my favorite shows as a kid, Blue's Clues. This episode is the modernized story of Goldilocks. It has a little bit of comedy, a sprinkle of family love wrapped around a fantastic feel of a classic fairy tale. Goldilocks tells about a girl who goes into this little house and starts exploring things there. For example, there are three cups of oatmeal on the counter and she tries each one and each is either too hot, too cold or just perfect. Unfortunately, I found the animation a bit dull and the story was kind of rushed. Also, the acting is a bit bland. The casting left something to be designed. There is an adult playing Baby Bear and his make-up and odd costume makes him look kind of creepy instead of fluffy and adorable. Also Goldilocks is a young adult which makes it hard to forgive her for breaking into someone's house and eating their oatmeal, breaking chairs and more. The message I got out of this is if you're beautiful, you can do bad things which I assume is not what the maker intended it to be. My favorite scene is when Goldilocks is caught and she realizes what she did wrong and offers to help fix her mistakes. This is a great example of what should be done if you do something wrong. This show is definitely meant for younger kids, perhaps ages 2 to 6. They would enjoy the bright colors, pictures and smiles. I would give it 3.5 out of 5 stars for a great idea, but a bit lacking in execution, casting and mixed messages. Reviewed by Gerry Orz, KIDS FIRST! Critic, age 12. Description - This updated version takes Little Red on an exciting trip through Central Park. Little Wolf is up to his old tricks but will the Park Ranger save the day? After arriving at Grandmas, we learn a lesson about fun. KIDS FIRST!® Adult Jurors say - This is a modern day version of Little Red Riding Hood with sign language and a more refreshing, modern day, younger acting Grandma. It is engaging but may have some limits to the ages of children wanting to watch a Little Red Riding Hood story. It is a more modern day version and would greatly appeal to those who use sign language. I'm not sure how appealing it would be to children who don't sign. The fact that Little Red is 17-years-old may seem a bit unrealistic to today's children. It does have educational and social message elements. It teaches not to talk to strangers and that play is as important as work. Of course, it also teaches sign language. The music is entertaining and so are the animation and real characters. The costuming is more modern day and fits the story well. The location is Central Park and the modern, younger Grandma is refreshing. There is a bit of flirting between Grandma and the Forest Ranger but it's not too much and the characters are definitely kind to one another. It flows well and the storyline is similar to the traditional story. 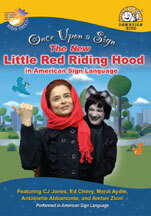 KIDS FIRST!® Kid Jurors say - Little Red Riding Hood from the Once Upon a Sign series is a great educational film. If you know sign language or want to learn how to sign, this film is perfect for you. This film is about a young girl, Little Red, who wants to bring cookies to her grandmother who's recovering from a cold. Little Red's mother is a little nervous about her going to her grandmother's house by herself. Little Red's mother tells her, "Go straight to your grandmother's house and do not talk to any strangers." While on her way to her grandmother's house, she forgets everything her mother tells her and speaks to a very friendly Park Ranger. As she talks to the Park Ranger, a very sneaky wolf eavesdrops on her conversation. And, when Little Red gets to her Grandmother's house, she notices something different about her. Watch the film to see what happens next. There are several messages in this film. First, do not talk to strangers. Secondly, be sure to follow your parent's instructions. Not only did Little Red talk to strangers but, she told them where she was going as well. The art in this film is very simple yet it captures the essence of each scene. Little Red's grandmother is my favorite character. She's very spunky and an energetic woman. She reminds me of my own grandmother. I really enjoyed watching the characters sign each other throughout the movie. The tutorial at the end was my favorite part. This film is delightful and educational. This is a great film for girls and boys, ages 5 to 10. I give this film 3 out of 5 golden stars. This movie is available on DVD as part of the Once Upon a Sign series. All of these updated fairy tales are told in sign. If you are hearing impaired, this film is great for you. Even if you are not, you'll enjoy it like I did. Reviewed by Kayla Powell, KIDS FIRST! Critic, age 12.. This episode from the fairy tail sign language series, Once Upon a Time, is a fantastic twist on the fairy tale we all know and love, Little Red Riding Hood. This series will be liked by young kids who enjoy watching fairy tales come to life. This episode has a feel of adventure, with a hidden core of good messages and even a bit of comedy and romance. The story starts when a girl named Red is crossing a park in Manhattan to give her Grandma cookies. However, when she arrives, she finds her Grandma acting very odd. The idea of doing fairy tales in sign language is a good and unique idea. The animation has a bit of nostalgic feel to it of older kids' shows. Unfortunately, I felt that even though it was a very clever idea to bring Red into the modern world of New York City, the acting was not up to par. The casting is so-so. There is an adult playing a 17-year-old Red. We all know that Red is not 17, she is a young girl of 10 or 11. I thought that was wrong because you can clearly see her age is off and, as a teenager, it doesn't make sense that she is so na�ve. The casting for older characters also wasn't right. The Grandma looks very young which also doesn't make sense. My favorite scene is when Red is given instructions (as if she were 3) on how to handle herself when going to Grandma's from her mother. I could relate to her mom's instructions because I know a lot of moms act. Sometimes they act if they are sending their children out to go swim in a volcano instead of walk two blocks to the store for milk and bread. That part made the characters a bit more realistic. This show is, of course, for little ones. I recommend ages 2 to 6. They would mainly enjoy the bright colors and pictures and smiles. I give it 3.5 out of 5 stars for it's good idea, but acting and casting are really off. Description - Young Alice Cogswell wants to enter the talent show but she's unsure of herself. After an audition that doesn't go her way, she gets some magic help. This magic help gets her to the talent show and helps her ASL poetry sparkle. KIDS FIRST!® Adult Jurors say - This is an engaging film about believing in yourself and how you can make your dreams come true. Also, it emphasizes that you do not need to be perfect and that you must not be overly confident to the point that you lose your humility. It is all told in sign language but has words as well so, it is easy to follow and suitable for children who hear as well as those who don't. The special effects of the Magic Mirror are quite entertaining. It is visually appealing and has social and educational elements that make it valuable. The messages are positive: "If you can dream it, you can do it," "Believe in yourself." It is a subject matter than most children will relate to as many have a tough time believing in themselves and have a fear of performing in front of others. The story flows well and is easy to follow. It is entertaining and fun to watch. It also shows that if you keep trying, you can get better and better. It is set in modern day. There are fun signs at the end where children can learn to sign certain words. KIDS FIRST!® Kid Jurors say - This 22 minute show is very delightful and provides a universal message about confidence and humility in a very unique way. CJ Jones' portrayal of Sparkles is extremely entertaining and was reminiscent of my father when he is being playful and silly. The program follows a young girl named Alice as she faces the internal conflict of lacking self confidence. After a talent show audition gone wrong, she gets another opportunity to prove her talent when magic comes in the form of a mirror and a little helper named Sparkles. However, not everything goes the way that Sparkles thinks it will and more problems arise, despite the new magical mirror. The whole show is done in American Sign Language (ASL) with voice-overs for those who cannot interpret sign language. My favorite moment of the program is when Sparkles attempts to fix one of Alice's problems by very creatively dressing up as an old woman. CJ Jones, the actor who plays Sparkles, standouts among the cast. He portrays a person who is sincere and genuine yet, at the same time, very lighthearted and amusing. That is very difficult to balance well and he is very successful in doing that. The message of the show is that that people should believe in themselves and never give up despite struggles they might have to face. They need not rely on others or "stuff" to bring them success, because success can be earned because of one's own abilities. This is a very relatable message for people of all ages, because no matter the age, sometimes we all put ourselves down and lose our self esteem. Description - Travel with pilot Carl Foster and friends on a vintage light airplane, as they fly to the Village of Mulege from La Paz, Baja California Sur. The landing at Mulege is thrilling and the views from the air are spectacular. KIDS FIRST!® Adult Jurors say - A short film about an airplane trip to the east coast of Mexico's Baja Peninsula, to the Village of Mulege. It shows all of this from inside the airplane. There are some nice views and a few beautiful shots, especially as they approached landing. Too many of the scenes are of inside the airplane and focus on the pilot, so close sometimes all you see is a single body part. This film shows what a trip in a private plane is like. The pilot, Carl Foster and his wife seem excited about the trip, but it is hard to understand them, given the home movie style quality of the film. The film is non-narrative, but the characters converse among themselves in both English and Spanish. KIDS FIRST!® Kid Jurors say - Kids are not engaged and do not understand the home movie style of filming. The landing is everyone's favorite, and the scenes as they approached landing. They like this because you can see more of the great view outside the plane. They had trouble understanding the English dialogue, and did not understand the Spanish which was not subtitled. Description - Explore spooky environments as Scooby, Shaggy or any of the super-cool teen Mystery, Inc. team. 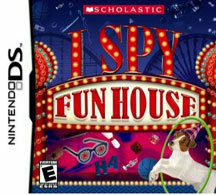 The game also features co-op play allowing two members of Mystery, Inc. to work together. KIDS FIRST!® Adult Jurors say - Entertaining and a lot of fun. It stimulates the mind and encourages kids to solve problems. You have to solve mysteries by working together as a team and figuring out clues. Each team member has special attributes (like Scooby can go through small holes and Shaggy can get things with his yoyo) that help them move through the courses and solve the mysteries. The characters are recognizable from the TV show and the music is pretty good. The words are easy to read and the narration and directions are clear. Some of the skeletons and other "bad guys" might scare younger viewers. There are different courses but not different levels of difficulty. Kids are praised for correct answers and given other chances when they are wrong. The main characters are never killed, even in battles. It does contain some cartoon-type violence but no blood and guts. If you exit out during the game you need to start the level over the next time you play but you don't have to go all the way back to the beginning. User can't control the pace of the material and it only has one level of difficulty. The content is geared for a younger crowd who enjoys Scooby Doo (8-10), yet the game is a bit difficult for users of that age. Users can review past materials but you cannot skip ahead nor can you make the game easier or harder. The mysteries are generally easy to solve; it is finding the clues that is difficult. KIDS FIRST!® Kid Jurors say - Kids enjoyed it. "I think it is a good game but the problem was that there weren't enough levels to play in." "It is really easy. The difficult part was remembering what to press and when." "The characters stop the other people from doing other things they want to do by dressing up like monsters and scaring the other ones. Of course, there are bad guys." "We loved the sound but the images were kind of fuzzy and you couldn't see them all that well. But, overall, I'd say, pretty good and I would play it again." "It was easy for experienced people but the instructions were written very tiny on the screen so you pretty much had to figure it out on your own." "It was a short game. It only took me an hour to get through half of it." "In five minutes, I was great at the game. (11-year-old) " Favorite part: Scooby Doo! Probably most suited for 8 to 12-year-olds though kids who like Scooby Doo will enjoy this at 6 or 7. 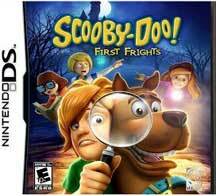 Some kids, who are scared by Scooby Doo at a younger age, will most likely not like this game until they are older. Description - Beautiful Christmas, Halloween, Little Brick Lego Trains, Big Garden Railways and other model trains plus handmade scale scenery and accessories. Set to original sing-a-long songs. Bonus shows real live trains! Recommended for autistic children. KIDS FIRST!® Adult Jurors say - Appealing for a niche audience - kids who love trains. Even then, it is a long time to only look at toy trains. The show is structured well and things are grouped thematically which helps. 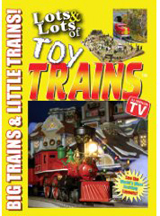 The toy trains are well shot and there are some songs included. It is a very straightforward video to watch. There is no emotional journey or negative content. KIDS FIRST!® Kid Jurors say - Kids enjoyed it. "It's pretty funny." Some loved it! They enjoyed seeing the caboose in particular. "I liked it cuz I love cabooses and choo choo trains." Some thought their friends would like it. They liked the lights on the trains. The girls enjoyed it as much as the boys. They asked for more songs after the songs were sung. There was a lot of pointing at the screen and the girls danced along at different points. One 4-year - old recognized the song, "She'll be Comin Round the Mountain" and said, "hey, we have this music." She also said, "let's dance guys." Description - Hey kids, check it out! Join Hip Hop great Roger G in his latest DVD. Dance, groove, stretch and have fun while learning all the latest moves like the chicken noodle soup, the snap, walk it out, and more. Watch Gaby, Amanda, D, Tremell and Jermain freestyle, break and spin as Roger G leads them through a totally phat hip hop workout. This easy to follow 45 minutes DVD includes exciting live performances and will have kids from ages 6-14 up having fun and dancing in no time. KIDS FIRST!® Adult Jurors say - Teaches hip hop dance slowly and methodically. The onscreen kids are very enthusiastic and good role models. The production is pretty simple and amateurish - shot with one camera and set in a gymnasium with bleachers and mats in the background. Not fancy but it is clear and to the point. The addition of nutritional and exercise information is a plus. One thing that's a bit misleading is the instructor on the cover is not the one onscreen. All the dancers are given center stage at some point. Its appeal is more for younger kids who want to emulate the older kids seen onscreen. KIDS FIRST!® Kid Jurors say - The kids really liked learning the dances, they were easy to learn and fun. "It was fun! I like to dance" All the kids enjoyed it and got up to dance along. The lessons are divided into segments so the kids can tackle them bit by bit. Many of the kids wanted to take it home for a night or two to share with their family. "My big sister would like it a lot!" The dress was hip yet appropriate at the same time. "There were lots of dancers. Some were boys and some were girls. Everyone was having a good time. They wore really baggy clothes." The kids liked that they danced in a school setting which they could relate to. "It made me want to dance." "It made me think about how bad I dance." "We liked the guys who danced. They were cool. I thought the guy on the cover was going to be in the movie but he wasn't." IAMPLIFY Click to purchase directly from the producer This title has online video! Description - Since losing her arm to a tiger shark at 13, Bethany Hamilton is using her experience to become an inspiration to others. In these downloads, she shares her courage and enthusiasm for God, inspiring girls to take on life & be strong in their faith. KIDS FIRST!® Adult Jurors say - Animated story based on Bethany Hamilton's story. Inclusion of Scripture passages relate to everyday life experiences. It has a Christian focus, with references not just to the Bible but to Jesus. Jurors commented, "I particularly liked the Scripture passages for each day and found them as appropriate for myself as for the target audience. The DVD starts with a prayer and devotional." Colorful 2D animation, short segments and very respectful of audience. Very suitable for a Christian Bible study leader. KIDS FIRST!® Kid Jurors say - Big hit with Christian children. "I liked it. It was awesome." "It was cool - Bethany has some good ideas to share." The viewers commented on the animation and how much they enjoyed it. Others felt it wasn't glitzy enough and didn't hold up to what they were accustomed to. Several said they would use this as it was intended - as a daily devotional. Others said "Bethany Hamilton is a great role model because she is living her life for God, regardless of personal circumstances." Description - Features over 100 levels of play, 18 riddles set across six photo-realistic scenes and unique magic riddles. Play three fast-paced games that test your brain power, toss objects from screen-to-screen, & advance to bonus rounds. Platform: Nintendo. KIDS FIRST!® Adult Jurors say - Overall, this game is packed with benefits and fun. It is a great value at the price. It is easy to use, the child can control the pace of the material and it holds your place when you exit so you can easily return to it. Kids can easily turn it on and run it by themselves. It is a terrific game for problem solving and creative thinking. There are multiple levels of difficulty to choose from. This is a game that gets the brain working. It is not simply, "not harmful," it is engaging, creative and fun. Kids will want to play this and have their friends play along. Trying to find hidden objects on a small screen is quite challenging and, as with most I Spy products, you have to think outside the box. Great graphic design. The only drawback is that it may be too frustrating to find the hidden objects on such a tiny screen. The game is well thought out and a great instructional tool. Users are positively encouraged and instructed, if they make an error in a non-demeaning way. KIDS FIRST!® Kid Jurors say - Enjoyed it, some loved it. All ages wanted to play it. The kids said they would tell their friends about this game. It was very easy to play. Some were frustrated because they couldn't change the level of difficulty. "It just starts out hard." Earning the tickets gave the kids a goal within the game. Favorite part: They loved the riddles. Many were challenging even for the 11-year-olds."Awesome!" "It was a little challenging at parts." 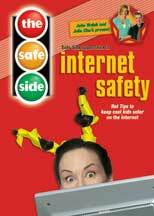 KIDS FIRST!® Adult Jurors say - Useful basic Internet safety tips and definitely goofy. Tries a bit too hard to be funny. Many good tips, like don't open attachments or downloads. Makes some generalizations that are not realistic. I.e. It advises staying out of chat rooms. Many children doing research or pursuing their own interests will end up in chat rooms. It would be good to advise them how to deal with them rather than just say, don't go there. Also, the focus on predators shows a stereotyped, greasy elder man smoking a cigarette whereas predators can be male, female, young or good-looking. This is best for Internet newbies. KIDS FIRST!® Kid Jurors say - Kids tended to really enjoy it. "It was so funny." "I loved Danger Dude and Safe Side Super Chick - she reminded me of Lizzy McGuire." "Helped me learn about the internet." "Some of it is really silly. Sometinmes it seems like it is more geared for pre-school." "Mr. Walsh and the other people are trying to let us know aobut the danger of predators. I've heard about this before. My school has training on this and it's presented in a way more suitable for kids my age." 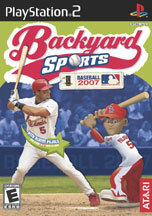 Description - Fifth iteration of best-selling youth baseball video game. Only kids' baseball game with Major League Baseball licenses. Features top MLB pros as kids. Includes all thirty Major League teams in realistic fields and environments. Game is easy for rookies, yet challenging for veterans. Works in full season or single game mode. KIDS FIRST!® Adult Jurors say - Fun, wholesome, non-violent entertainment. Teaches about the game of baseball. Installation is a breeze. "An eight-year-old picked it up and showed me how to use it." Graphics are great. Audio is first class. The design is easy to navigate and the difficulty of the games easy to control. KIDS FIRST!® Kid Jurors say - Really easy to figure out how to play. You can play mini games like the Home Run Derby and you can play with another person by linking. You can pick what team you want to be on. You can choose your players and position them where you want them. You can also choose how you want to hit the ball, like bunting, line drift, power hitting, and grounder. It's fun and easy to learn and really fun to play. 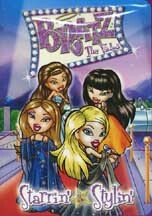 Girls loved it as much as boys. Challenging for a variety of ages, including adults. Description - Explores multi-cultural coming of age rites and traditions, providing a new paradigm in reproductive health education that is designed to inspire girls to cherish their bodies, develop a positive self image, and make empowered choices. KIDS FIRST!® Adult Jurors say - Very open and informative discussion about menstruation. Probably best watched with an adult. Points out how every girl is unique in terms of timing and physical attributes, gives proper names for anatomical parts, and offers a look at rites of passage ceremonies worldwide. Doesn't discuss conception of a baby at all. Sticks to topic on hand. KIDS FIRST!® Kid Jurors say - Definitely a topic kids are sensitive about. Eleven-year-old girls commented: "It shows what to expect when I get my first period. I'm not as fearful or confused now. It's a normal part of becoming a woman." They enjoyed seeing how other cultures celebrate this rite of passage, and loved seeing how Indian girls are feasted and given gifts in their honor. Description - Take a journey through the wonderful world of dance. This DVD introduces toddlers to movement and dance by showing the movements of puppets, animals, dancers and other children. Designed to watch, learn and have fun. KIDS FIRST!® Adult Jurors say - Engaging, interactive and delightful. Designed to inspire kids to get involved in movement exploration. Good way to view and do with your child. Inserts of real animals wobbling, hopping, and moving about are shown side by side with kids imitating their movements. Diverse dance forms are shown, from African to Japanese and more - jazz to ballet. Supports kids exploration of gross motor skills along with their imagination. KIDS FIRST!® Kid Jurors say - Kids danced along and showed each other their spins. It didn't hold their interest for the entire program. They seemed to enjoy seeing the different dances and dancing along with what they watched. It's definitely enhanced when parents talk about the various countries the dances are from. Description - Daydream is a modern rendition of an ancient yoga technique that brings a deep sense of calm and inner balance. Whether your kids are overactive or just need rest, this DVD helps them experience the benefits of yoga relaxation. Spanish subtitles and Hawaiian lyrics. KIDS FIRST!® Adult Jurors say - If you're familiar with yoga, you'll definitely find the techniques offered here are wonderful ways for children to relax. Very nurturing host who speaks in a soothing tone. Delightful music, beautiful abstract animation, fun songs. Relaxation shouldn't be confused with getting ready for bed though, this can be used at any time during a busy day with kids who need to chill out a bit. KIDS FIRST!® Kid Jurors say - Definitely has a relaxing affect on the kids. They loved the music and animation. "The music makes me feel like sleeping." They followed Wai Lana's instructions, the littlest ones asking about the onscreen images." Kids enjoyed seeing the monkeys, dolphins, beach scenes, clouds, and the pink elephant. One commented opn the host's funny accent. Girls enjoyed it most, especially the music. BABY LONGHORN - RAISING TOMORROW'S UT FAN TODAY! Description - Baby Longhorn uses officially licensed footage of Longhorn sports, mascot, marching band and campus attractions to expose children to the University of Texas in an exciting and playful manner. KIDS FIRST!® Adult Jurors say - Marginal viewing for infants. Geared for UT alumni and football fanatics. Mixes kids concepts such as numbers and marching band music while taking adults on a trip down memory lane. Rough ball playing could be frightening to infants. "Incoherent melange of screaming adults, toddlers and noise." KIDS FIRST!® Kid Jurors say - Held their attention only for short segments. When it came back on they sat down to watch more. They talked to the screen, danced to the music, and talked about what they saw on the screen. Enjoyed listening to the band music and liked the "cows." One child responded to the number exercise. Description - Baku the Travel Bug says, "Hola! Namaste! And Hello!" Baku is a loveable travel bug who lives inside the travel bag of his best friend and travel partner, Aunt Sydney. When children from the neighborhood visit Aunt Sydney's house, Baku pops out of the bag to share pictures from his magical Scrapbook. As Scrapbook makes the pictures come to life, children visit Mexico, India and Lebanon. Between making tostadas, dressing up in a sari, spinning the big globe, and learning to dance - Lebanese style! 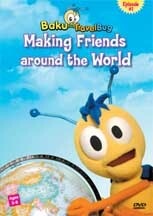 - kids will love this virtual adventure to faraway places and making friends around the world. KIDS FIRST!® Adult Jurors say - A great way to teach children and parents about other countries and some basic words from foreign languages. Language is taught through real life scenes such as cooking and learning Spanish words for the foods they make. Blends puppetry and live action beautifully as it tours the world. Children are encouraged to participate in many ways, through interactive questions and dancing. Baku and his friends are very polite. KIDS FIRST!® Kid Jurors say - Kids loved it. Really enjoyed the dancing and the cooking. Asked to see it again and again. They liked learning about other countries and cultures. Practiced saying new words they learned in different languages. "One five year old watched it at a later date and wrote down all the words in the other languages with their translations." Kids wanted to learn how to make tostados from Mexico and sweets from India. "I want to cook like that." "They were kind to each other and shared things and gave gifts." "It was great." Description - Thirty well known and not-so-well known traditional nursery rhymes are put to dance. Little Miss Muffet is on pointe and Peter Piper is a very hip hopper. How about tap dancing to It's Raining It's Pouring? With the camera focused on legs and feet, it's easy for aspiring dancers to learn new steps. KIDS FIRST!® Adult Jurors say - Unique, fun film. Non-flashy, simple introduction to dance. Clear instructions and visual examples with costumes and styles from different cultures. Narrator's voice is soothing yet expressive. "Uncomplicated sets keep the viewer's attention on the dance steps instead of other things." KIDS FIRST!® Kid Jurors say - Kids interested in dancing were mesmerized. They told dancer friends about it, who asked to see it. "My friends who like dancing would like the tap dancing and the clothes." "It showed people how to dance." Some of the kids repeated the rhymes, some tapped their feet. Non-dancers became restless. Description - Focuses on traditional motion picture editing using non-linear editing (NLE) software. Host Logan O'Brien guiges the audience through the video editing process. Apple Comuter iMovie is used to demonstrate these techniquies with the skills applying to most any NLE system. An in-depth discussion includes NLE systems, connecting the camera and importing footage, applying movie style edits and assisting the storytelling process through editing. Additional editing formats are descrived and explained including the montage, adding voice over and appllying transitions. Description - Packaged in an ultra-hip purse, the DVD and VHS flaunt the film, one rockin' music video, and specially created outtakes. KIDS FIRST!® Adult Jurors say - Worrisome superficial values in otherwise acceptable story. Hip music. Teen themes (fashion, makeup, prom) promote materialism and vanity. No sexuality, violence or ugly language. Shows mult-cultural friendship, loyalty, forgiveness and achievement. KIDS FIRST!® Kid Jurors say - Yep, girls liked it, even one 12-year-old girl who just made the football team. "They talks the way we do. We act like them and pretty much think like them - except not that much about clothes." "I liked it, but it didn't move me like some movies do." Description - Leads parents and children through a treasure trove of toys, songs, play and American Sign Language. Presents families with opportunities to connect with their little ones. Parent section gives tips for signing. KIDS FIRST!® Adult Jurors say - Attractive for babies. Colorful and musical. Provides instruction for parents while babies are being entertained. Different segments are cleverly divided so that the video can be shown in segments. Encourages interaction between parents and babies. KIDS FIRST!® Kid Jurors say - Bounced and gurgled and clapped hands with the parents. The use of blue gloves captured the attention of the babies. Each time the bear with the Blue hands came on, each baby followed him and watched closely. BUILDER'S EYE PRODUCTION CO. INC. Description - Brad shares a great birthday party event with his friends: they get to "help" demolish and repair a driveway with real equipment and a real crew. Watch as Brad's crew learn the importance of sharing and the value of teamwork. KIDS FIRST!® Adult Jurors say - Popular topic at a slow pace. Easy language; pop-up words for emerging readers. Good manners and generational mix. Home-video feel. Kids appear to operate equipment; hard hats not always worn. "Kids shouldn't be encouraged to play around heavy equipment." KIDS FIRST!® Kid Jurors say - Watched intently at first. "I like the gears and the big load part." "I like the big rocks." Didn't consistently hold their interest. "It's not too bad, but it's not too good." One boy went to find a tractor to ride. "I want to ride it like those kids." Description - Chants are sounds, words or phrases repeated or sung over and over in rhythmic patterns. There is a fine line between spoken chants and songs and this production, a collection of 36 traditional and original chants from around the world, blurs that line. KIDS FIRST!® Adult Jurors say - Clear, smooth sound. Appealing mix of song and chants from many cultures. 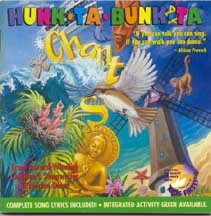 Song book and format make it easy for children to memorize the lyrics. Promotes language skills by introducing a wide range of sounds and combinations. Broadens cultural knowledge. KIDS FIRST!® Kid Jurors say - Those that liked it, liked it a lot. Especially appealing to African-American kids. "It showed being proud of your country and how we treat each other." "I liked the music. I liked saying the words. It was great keeping time with the music." "Very good." Description - Takes kids for a close-up view of the tools and big machines that grow and harvest foods. Includes a behind-the-scenes look at how peanut butter, jelly, bread and potato chips are made. KIDS FIRST!® Adult Jurors say - Fun, educational. Shows how each food in the host's lunchbox is made as well as the hard work and the many steps involved in growing and preparing food. "Teachers could use this with the first grade social studies curriculum." KIDS FIRST!® Kid Jurors say - Prompted lots of interest and discussion. "We learned how peanut butter is made." "Can we make potato chips?" "I saw how they used cow poop!" "Can I go to a real farm and ride on a tractor?" Description - Features Dr. Loretta Long of Sesame Street exploring strategies for staying safe, at home, at play, on the street and on the Internet. KIDS FIRST!® Adult Jurors say - Good production. Touches on a lot of topics briefly. Encourages assertiveness and problem-solving. Demonstrates how knowledge is applied. Shows good diversity. Kidnapping scene is frightening. KIDS FIRST!® Kid Jurors say - Focused and intent. "It shows us how to stay safe." "Sometimes the narrator spoke too fast." Kids related to the characters. "They were kids just like us." "I feel safer walking to school now." "It taught me to be smart." Description - Combines classical music and engaging animated images that introduce numbers, letters, shapes, animals and other babies. KIDS FIRST!® Adult Jurors say - Wonderfully choreographed. Well paced, age-appropriate. Appealing colors and music with smooth transitions and good balance of images. A thoroughly enjoyable experience that an adult can share with a child. KIDS FIRST!® Kid Jurors say - Captivated them. Kids were glued to the screen and readily responded to familiar objects. They pretended to be airplanes and responded to the animals with animal sounds. "They begged to see it again. I couldn't rewind it fast enough." Description - The music of Mozart and other great classical composers are joined by beautiful images to relax and soothe your infant. Offers a steady stream of changing colors, letters, shapes, animals and other babies. KIDS FIRST!® Adult Jurors say - Enjoyed the sound quality and the cinematography featuring children involved in everyday activities such as blowing bubbles or playing in the sand. Images of flowers, fish, animals and geometric forms flow continuously. Encourages parent involvement. KIDS FIRST!® Kid Jurors say - Enjoyed the familiar scenes of children playing, especially the water and boat scenes. Mobile infants scooted closer to the screen. Some danced. They all responded happily to the animal scenes. Description - Captures the magic created when dads play with their babies. Babies will hear familiar tunes, watch laughing faces similar to their own and tumble with their fathers. KIDS FIRST!® Adult Jurors say - Dads who watched this were amused but not eager to watch again. Songs were familiar. Shows good racial diversity and a pleasant interaction between parent and child. Poor production quality and nothing to hold a baby's attention. KIDS FIRST!® Kid Jurors say - Even older children were delighted to see the daddies for short periods of time. Initially there was a lot of pointing and bouncing to the music, but overall they were easily bored. The children enjoyed the music and laughed at times. Description - Shows a home renovation from the ground up, including demolition, framing, plumbing, electrical wiring, and heating, ventilating and air conditioning. Visits the architect, builder, an entomologist, a tile factory and a sawmill. KIDS FIRST!® Adult Jurors say - While the explanations are good, it moves too slowly. Content is straightforward, easily understood, presented in a safe and wholesome setting. Young people learn of safety and following proper procedures around construction sites. KIDS FIRST!® Kid Jurors say - "I learned how it takes a lot of people and materials to build a house." Too long, but they liked seeing the finished house and the steps it took to get there. Uses technical terms beyond kids' comprehension. Description - Visit the largest freshwater aquarium in the world in Chattanooga, TN. Shows hundreds of fish and animals from various habitats, divers feeding fish and looks behind-the-scenes at the control center, the veterinarian and the research lab. KIDS FIRST!® Adult Jurors say - Wonderful footage of a wide variety of aquatic plants, animals and fish. Eye-catching and informative. This would be a great tool for ocean studies. Fosters an appreciation for aquatic life as well as interest in unique species. KIDS FIRST!® Kid Jurors say - Colorful, scientific, cool. Great animals. "I loved the colors of the fish." Showed people working with the animals. "I'd like to work there." Description - Explores Yellowstone National Park, its wildlife and the people who preserve it. Explains how animals are monitored and how the wolf program safeguards an endangered species. Shows firefighters and rescue helicopters and discusses geothermal systems. KIDS FIRST!® Adult Jurors say - Educational but needs supplementary explanation. Teaches a lot about parks. Explanations are educationally sound and authentically depicted. Beautiful scenery. Pace is a little slow. KIDS FIRST!® Kid Jurors say - Mixed reaction. Kids said they wouldn't want to sit at home and watch it, but they would in school. The narrator spoke too fast and was difficult to understand. It made them want to visit a park. They loved the images of the bubbling water. Description - Focus on the alphabet - the most important tool developed by humans. Teaches the written, spoken, and American Sign Language (ASL) alphabets, introduces spelling and teaching the signs for eighty-eight words. KIDS FIRST!® Adult Jurors say - Nice pacing allows for review, but still challenging. Very well executed. Wonderful exposure to sign language. This can be used in the classroom or at home. "It demonstrated that everyone can learn to sign." KIDS FIRST!® Kid Jurors say - "It was funny." "It taught me a lot of signs. I would like to learn more." Kids tried to converse in sign after the video. They were intrigued by the skits and the gestures. Description - Based on the book series by Brenda Clark and Paulette Bourgeois, Franklin the Turtle teaches children how to solve problems on their own, although sometimes he does still need help from his parents or friends. the characters on the show as role models for ideal behavior, even though they aren't always perfect. In this episode, when Porcupine, jealous of Franklin's popularity, creates a secret club for the sole purpose of keeping him out, Franklin teaches her the true meaning of friendship. KIDS FIRST!® Adult Jurors say - Content is refreshingly meaningful. Issues of friendship, belonging and honesty are dealt with appropriately and relevantly in situations common to preschoolers - teasing, exclusion and sharing. High learning potential. KIDS FIRST!® Kid Jurors say - Captivating. They wanted to see it again immediately. Kids seemed sensitive to Franklin's feelings. "We could watch it together and laugh." "Made me think about being nice." Description - Explores the behind-the-scenes action at the space shuttle program, including the astronaut training, the crew roles, shuttle maintenance and orbital gravity experiments. KIDS FIRST!® Adult Jurors say - A big hit. Everyone liked the narrator, the backstage look and seeing real astronauts. A look at a topic kids relate to. "It was great to watch with my child, interesting, no violence and a great learning tool," one mom said. KIDS FIRST!® Kid Jurors say - Captured kids' interest and motivated further inquiry into the subject. Kids liked it because it was real. They particularly enjoyed the launch. "Everything in it is great." "I liked seeing the girl scientists." Description - A non-scripted, non-narrative, action-oriented production featuring infants and toddlers to age four. Outdoor activities are filmed with natural sounds and music. It is simple and fun. KIDS FIRST!® Adult Jurors say - Shows affection in a calming way. Learning to play with puppies and kittens is good modeling behavior for this age. The content is mostly soothing music set to visuals. Offer little educational or developmental value. KIDS FIRST!® Kid Jurors say - Okay. Limited interest to babies - does not hold their interest for long. Toddlers wander in and out of room. Some ignored it completely. This could be useful for quiet time/nap/bedtime. Description - Shows babies from infancy to age four engaged in outdoor activities with natural sounds and music. It is a simple production showing happy, healthy, active babies. KIDS FIRST!® Adult Jurors say - The behaviors modeled are positive. Good diversity. Adult interaction could elicit more responses. Although babies like watching babies, it is live babies that interest them. This is not harmful but has little developmental value. KIDS FIRST!® Kid Jurors say - The music is nice, but overall this has limited appeal. Pace too slow for most. Some kids watched briefly and walked away. If not shown all at once, it's good for a brief diversion. Description - A non-scripted, non-narrative action-oriented production showing babies between infancy and four years. Outdoor activities are filmed with natural sounds and music. It is simple and fun, showing contentment and joy. KIDS FIRST!® Adult Jurors say - Good shots of babies walking, eating and playing. Shows happy, positive emotions. Babies putting sandy things into their mouths disturbed some. Not much diversity. Jurors objected to the description on the box calling the tape a "baby-sitter." KIDS FIRST!® Kid Jurors say - Evoked some interest but not a great deal. They wandered in and out while viewing, which is a natural response for this age. Kids asked why there was only music, no talking. Program could be used to prepare for or reminisce about a trip to the beach. Description - Voyage under the sea with the crew of a giant Trident submarine. See what it's like to live underwater for months at a time. Discover how submarines work. Visits the bridge, the kitchens and more. KIDS FIRST!® Adult Jurors say - Good presentation, easy to understand. Child narrators enhance appeal. Offers limited information about nuclear technology. Little diversity shown in terms of race or gender. KIDS FIRST!® Kid Jurors say - Presentation is a little long. Kids enjoyed seeing the behind-the-scene shots of a real submarine. They commented about the teamwork that was represented. Description - Now you can share a fun, safe and healthy activity with your kids - one that can be enjoyed over and over again. In YogaKids, your children will learn simple yoga exercises work to strengthen their bodies and improve coordination. They'll playfully stretch like dogs, roar like lions, and stand like graceful flamingos. As they complete each new yoga pose, they'll gain a new feeling of accomplishment. Guided by long-time kids yoga teacher Marsha Wenig, YogaKids is the most creative and entertaining way to bring the joy of exercise and the wonder of all living things to children. Whether it is practiced indoors, outside, alone or with family, this magical experience will become one of your child's most treasured activities. KIDS FIRST!® Adult Jurors say - Excellent! Nice explanation and illustration of movements. Engaging and child-centered, it values imagination, good health and self-esteem. Generates interest in enriching a child's life, stimulates creativity, language and cognitive development. KIDS FIRST!® Kid Jurors say - Works best with younger kids, relaxing for quiet time. Even shy children joined in. "It was neat to try to be the animals." "I learned new ways to exercise. We decided to watch this once a week as a class." Description - Offers a behind-the-scenes look at flight operations and life on board a floating city of six thousand crew members. Music, child narration, and voice-over of pilots enhance this tour. KIDS FIRST!® Adult Jurors say - Good production, clearly presented, and shows cooperation. It's well paced and informative and has an excellent female role models. "Kids should love this." 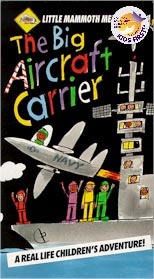 KIDS FIRST!® Kid Jurors say - Impressed by the size of the aircraft carrier and it functions. Kids enjoyed seeing different pilots, planes and how they take off. Description - Learn why zebras have stripes and flamingos are pink. Shows feeding day at the reptile house at the zoo - and much more. KIDS FIRST!® Adult Jurors say - Offers a guided tour of the zoo, from out front and behind the scenes. "The people working in the zoo were shown to be such caring people." A good resource tool for classroom or home. Jurors objected to all the commercials at the start. KIDS FIRST!® Kid Jurors say - Impressed by seeing what the different animals eat and how the zookeepers take care of everything. They wanted to go to the zoo afterwards. "I like the real pictures, they made me want to go to the zoo." Description - Visits the Kennedy Space Center and Space Camp and explores the challenges of living in space. Looks at what it takes to be a NASA astronaut. KIDS FIRST!® Adult Jurors say - Good introduction to the study of space and space travel. However, the promotional advertising is objectionable. KIDS FIRST!® Kid Jurors say - Kept their attention. Most suitable for kids interested in subject. Description - Offers a behind-the-scenes look at the operations of an international flight from a child's point of view, with a child narrator, lively music and graphics. KIDS FIRST!® Adult Jurors say - Informative. Shows all the jobs on airlines. Child narrator, asking questions works well in the format. Lots of technical information and detail. A little long for audience to watch all in one sitting. KIDS FIRST!® Kid Jurors say - The narration helped the children understand the presentation. Younger children lost interest when the information became too technical. They enjoyed the scenes in Switzerland. Description - Learning sign language offers benefits for hearing kids even if they never use it. Improves reading and motor skills and appreciation of different cultures. Hosted by Ken Lonnquist, from the National Theater of the Deaf. KIDS FIRST!® Adult Jurors say - This is a good idea but the signing is too fast for young children to track. Some songs are simply wonderful and can be used to build enthusiasm for learning to sign. Animation lacks appeal. It's probably best used in segments. KIDS FIRST!® Kid Jurors say - The music and the signing were interesting. Younger ones lost attention quickly. "This is a grown-up movie." Description - Shows race cars and the people behind them, from behind-the-scenes pre-race preparation to crossing the finish line. Examines unusual types of racing. KIDS FIRST!® Adult Jurors say - Fast-paced and interesting. The accident scenes tend to glamorize danger. Points out the importance of safety. Toyota endorsement is prominent. Some parts are too technical for this audience. Hosts are pretty silly. KIDS FIRST!® Kid Jurors say - "My eight-year-old son loved it." (As did most of the boys.) It's most suitable for a special-interest audience. Description - For those that have looked at the night sky and wondered what is really up there, join Michelle and her mother as they explore the night sky together. KIDS FIRST!® Adult Jurors say - Use of mother-and-daughter team was refreshing. Showing women in science is an intelligent move. Effectively combines information and entertainment in a visually compelling format. KIDS FIRST!® Kid Jurors say - Enjoyed the pictures of the night sky and the stars. Some of information was much too complicated and technical for the children. Students who are star watchers enjoyed it the most.